Home Xzibit arrested a few hours after his wedding. His mugshot though.. Xzibit arrested a few hours after his wedding. His mugshot though..
Xzibit arrested a few hours after his wedding. 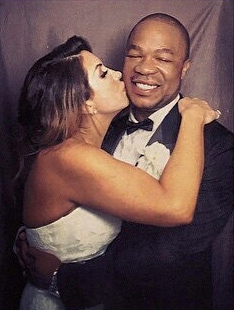 His mugshot though..
Rapper Xzibit married his long time girlfriend Krista Joiner on Saturday Nov. 29th in LA and a few hours after that, he arrested for DUI. According to TMZ, the Pimp My Ride presenter was arrested in Laguna Beach, immediately following his wedding reception after he, his bride and their wedding guests partied hard at the St. Regis Monarch Beach. As he left his reception, he was pulled over for speeding when officers detected the smell of alcohol. He was cuffed and taken to the station. The police then released this nice mugshot of him..lol. Tags # Xzibit arrested a few hours after his wedding. His mugshot though..
Labels: Xzibit arrested a few hours after his wedding. His mugshot though..